Streamlined Consumption Data Gathering & Analytics….Create reports, run profiles, aggregate and analyze multiple meters, forecast and plan — Your electricity and natural gas information available anytime-anywhere, on the web! Enterprise executives are recognizing the need for better energy information so they can tightly manage their energy consumption and costs. 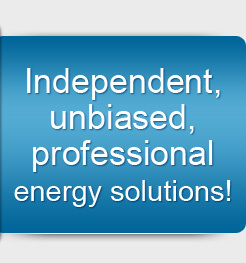 They understand that accurate energy information is becoming nearly as valuable as energy itself. What’s needed to deliver this information is efficient data gathering and analytics, such as load profiles of facilities and systems. Load profiles show actual energy demand over time and in relation to weather and other factors that affect demand. You can arm yourself with the information you need to measure, analyze and manage energy consumption by using Axsess’ Energy Pilot, a web based energy information service. You’ll be able to operate and maintain your facilities more efficiently. For example, reducing a facility’s load by five percent during peak demand periods can lower energy costs by 20 to 50 percent. 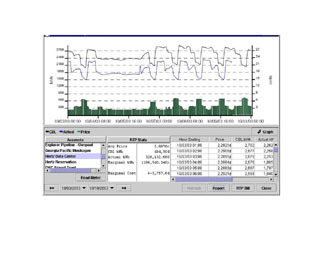 Energy Pilot satisfies the number one priority of users of energy information — reducing the time spent getting useful, relevant and actionable energy information to manage load profiles, peak shaving, curtailment and other energy management programs. The service’s capabilities minimize the time required to make money-saving decisions by incorporating the majority of the information onto one display screen and making that screen exceptionally easy to navigate. The data can also be used to feed your other systems and tools such as spreadsheets. Energy Pilot allows you to efficiently capture data for multiple facilities and locations, create ‘what if’ scenarios and develop sound strategies for optimizing your energy use and costs. You can also use the service to monitor other utilities such as water or steam.